news Leighton subsidiary Visionstream has won a $300 million contract from the National Broadband Network Company for the rollout of the National Broadband Network (NBN) in Tasmania. 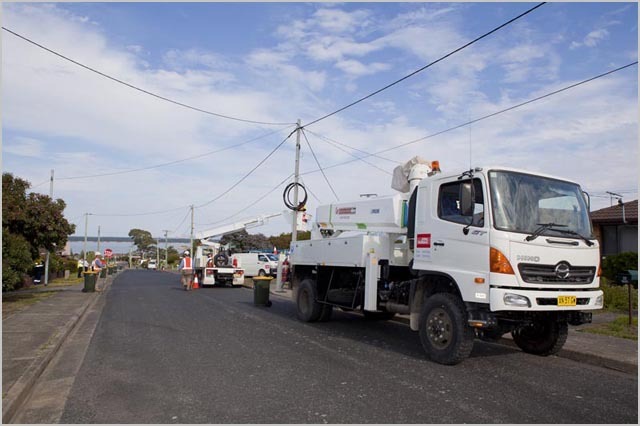 A media release from Visionstream stated that the company had been awarded three work packages comprising Passive Fibre Network Construction, Field Services Delivery and Network Augmentation and Restoration to bring high speed, fibre-optic broadband to Tasmania. The project set to commence within the next few months, is expected to continue for four years with the possibility of extensions. The team is currently implementing the process of design and survey. Peter McGrath, Managing Director, Visionstream, said: “We are thrilled to have secured this important and exciting contract to deliver broadband to Tasmania.” He added that Visionstream was looking forward to building a long-term, sustainable presence in Tasmania and to create a substantial number of new employment opportunities for local Tasmanians. The media release stated that since July 2011, Visionstream had secured more than $750 million worth of work including NBN contracts, to provide better broadband access to communities across Australia. This latest deal is similar to Visionstream’s existing contracts to build NBN’s Transit Network and the construction of the fixed wireless network. Visionstream is a ‘concept to completion’ provider of telecommunication infrastructure and operations services across wireline, wireless, equipment installation, relocation and integration. The company also provides maintenance related services. Meanwhile, the office of Senator Stephen Conroy, Australia’s minister for broadband, communications and digital economy corroborated the development and welcomed the announcement by NBN Co that it had finalised an agreement with Visionstream for the construction of the NBN in Tasmania. According to a media release from the Senator’s office, the contract would connect the remaining premises in Tasmania by 2015. The contract also includes provisions for ongoing maintenance of the NBN in Tasmania. The NBN rollout is already underway in Tasmania, with NBN fibre services available in Scottsdale, Smithton and Midway Point. NBN Co anticipates that services would be available in Triabunna in the coming weeks followed by Deloraine, Sorell, St Helens, Kingston Beach, George Town and South Hobart in the coming months. NBN Co’s 12-month fibre rollout schedule (as per a Feb 2012 update) covers 758,100 homes and businesses in 66 locations across Australia where the network is active, where work is underway, and where work is expected to start by the end of this year. This includes three new locations in Tasmania: Bellerive, Claremont and South Launceston. NBN Co is expected to issue its first three-year indicative rollout plan shortly. This will be updated annually until the rollout is complete. The way things are going Tasmania’s fibre network will be 3/4 finished by the next federal election. I’d like to think Tasmania is getting preferential treatment given we have the worst broadband availability in the country (and have an economy in dire need of a a boost), but I think it’s probably more a political strategy to make turning back the NBN more difficult. The make-up of the senate as it stands now, will not significantly change until 30 June 2014. This is the first date that Abbott will be able to even attempt to undo any of the major changes the ALP has made (NBN, CT, MRRT). By that date the NBN components due in 2015 – the satellite, the fixed wireless and the Tassie FTTH – will be so close to completion that the coalition will not be able to do anything to cancel/undo them without significant costs. That is my optimistic POV anyway!